China, is a unitary sovereign state in East Asia and the world's most populous country, with a population of over 1.381 billion. Covering approximately 9.6 million square kilometres (3.7 million square miles), it is the world's second-largest state by land area and third- or fourth-largest by total area. Governed by the Communist Party of China, it exercises jurisdiction over 22 provinces, five autonomous regions, four direct-controlled municipalities (Beijing, Tianjin, Shanghai, and Chongqing) and the Special Administrative Regions Hong Kong and Macau, also claiming sovereignty over Taiwan. China is a great power and a major regional power within Asia, and has been characterized as a potential superpower. You will enjoy the development of Beijing & Shanghai in our tour. Arrive at Beijing Capital Int’l Airport, airport pick up at airport by representative and transfer to Hotel. Breakfast at hotel,Depart from hotel in the morning to visit the biggest public square in the world, Tian’anmen Square conquers you with its grandeur at the first sight. Then you are leaded to Forbidden City. It is the imperial palace for 24 emperors during Ming and Qing Dynasties and the biggest ancient architecture complex in the world. You walk in the museum to see with your eyes, to touch with your hands and fell with your hearts. Breakfast at hotel, Begin today’s full tour with a visit to a Longdi Jade shop where we will learn about Chinese jade culture. In the afternoon, visit the fabled Great Wall-Juyong Pass, a UNESCO World Heritage Site and a massive defensive structure built to keep off intrusion and proceed to see the Bird’s Nest (Olympic National Stadium outside) and the Water Cube (Outside). Today you will take a high speed bullet train to Shanghai. 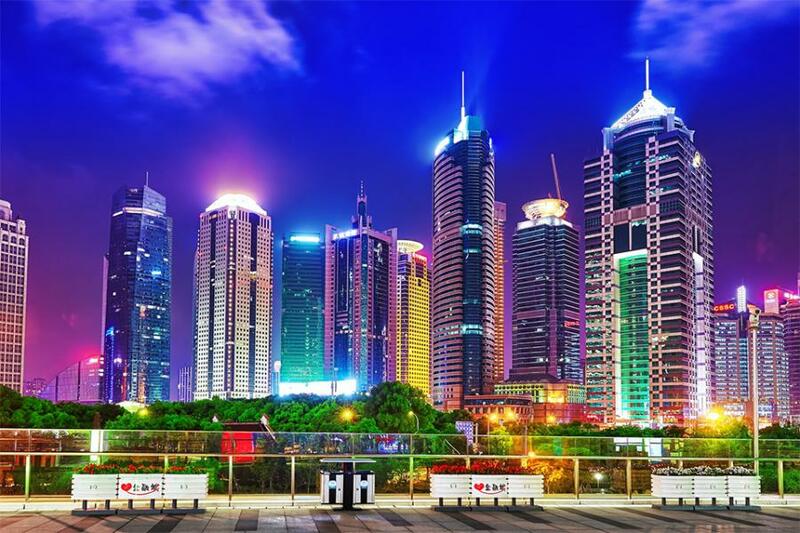 Arrive in Shanghai, you will be met and transferred to hotel. Overnight in Shanghai. After breakfast at the hotel, full day tour to the Jade Buddha temple, the current temple draws from both the Pure Land and Chan traditions of Mahayana Buddhism. It was founded in 1882 with two jade Buddha statues imported to Shanghai from Burma by sea. Later visit silk factory, the Bund, Nanjing road and take a photo stop at Oriental TV Tower. Overnight in shanghai. Sightseeing as stated, entrance fee. English speaking local guide and all private transfers with guide. High speed bullet train tickets: Beijing-Shanghai (2nd class seat) with the booking fee.